And more amazing stuff we found on the Internet today. 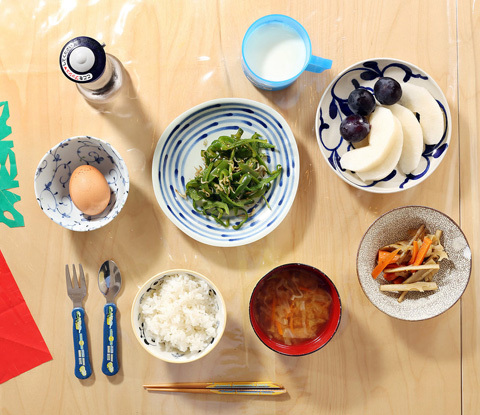 The photos—featuring 2-year-old Saki Suzuki from Tokyo, 4 year olds from Malawai, and other adorable children stuffing their face with breakfast food—are phenomenal. “Children all over the world eat cornflakes and drink chocolate milk, of course, but in many places they also eat things that would strike the average American palate as strange, or worse,” writes the article’s author, Malia Mollan. This includes breakfast foods like natto (fermented soy beans), hazelnut-flavored halvah, and green peppers stir-fried with soy sauce and tiny dried fish. Sounds like a $100 meal you’d eat at a high-end Japanese restaurant in NYC.